Pastor and his family informed me through text that they're on their way to my office. They always drop by my office to give me a ride to our weekly wednesday bible study, it was a habit they obliged themselves to do for me to arrive in our church earlier. I really appreciate their kind gesture, I can never find such a humble and thoughtful pastor who's like a father to me also. 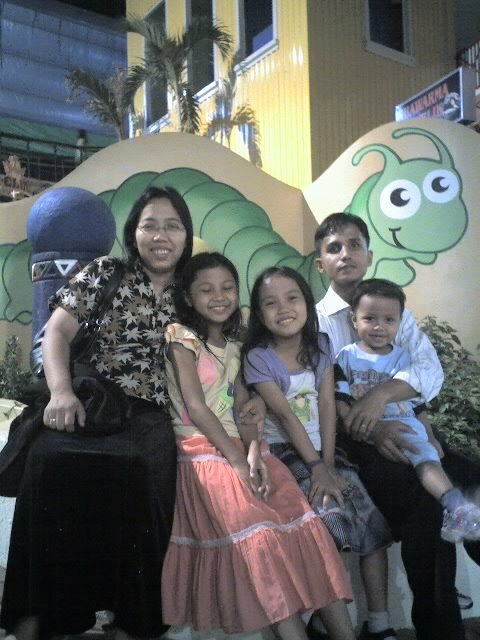 With him are his daughter, son and his wife Ninang Remy (sponsor to our wedding). Oh how I'd love it when Wednesdays and Sundays come because it's our fellowship days, the time that we sing our songs to the Lord, give our praises and worship Him. I always look forward to these two special days.